“This is what I have taught you. “The best possible life is where you have gone beyond your normal human existence, to the next level, as best as someone born as a human being can. “There are three central techniques for going beyond: Perspective, Evolution and Creativity. “Perspective is expanding your thinking to cover the whole of the universe, all of time and beyond. It can make it seem as if you were seeing with a kind of ‘God’s-eye view,’ as if you were no longer just one tiny human being existing briefly in the eons of time. “Evolution is imagining the beings that are to come, even up to the ultimate being that will be created one day. By thinking about the next stages in Evolution you will transform your current feelings into a higher state. It will be as if you had really evolved into a higher being, as much as that is possible. “Creativity is imagining what is outside the box and changing the things inside the box to see what new ideas may come. When you use Creativity it will be as if you had a more powerful mind than what you really have. Your limited human intellect will leapfrog over itself. “There are also lesser techniques that you can use, as you see fit. These include Setting Life Goals, Making Plans and Acting on Them, Seeing the Panorama, and Living in the Present. “Your number one Life Goal is to be more than human, it is to go to the next stage in Evolution and become your higher self. All other life goals come after that. “Make plans, if you wish to, because they can help you to get to your goals, then schedule the required work to make sure you carry it out. By making plans and following a schedule for acting on them you will progress towards your goals, as much as they are achievable. “The Panorama is everything that is in a situation. In front of you are many elements; try to take in as many as you can in the time available. What do all these extra pieces of information tell you? How do they change your conclusions? When you look at the Panorama your understanding will go beyond the narrow focus your mind normally applies. “Living in the Present is achieved by filling your mind with everything that is happening right now. Fill your mind with your perceptions of the current time – everything you can see, everything you can hear, everything you can feel through your body, and so on – until you are basically unable to think about anything else. Living in the present is a turning off of your self, it is letting your ego go. Use it as an additional technique to Perspective, Evolution and Creativity, if you want to. The disciples all thanked The Enlightened One for his wise advice. Most of them left and went on their way, but a few stayed with him as his friends. All of them, wherever they went, remembered the advice The Enlightened One had given them and they lived as perfect a life as anyone born as a human being can. “Thank you,” said The Enlightened One, smiling and bowing. “I hope that never happens to you,” replied The Enlightened One. “I wish you only the best things in life, which always come from going to the next level. In fact, being at the next level is the best thing in life. “Keep practicing the techniques and go to the next level?” suggested the third disciple. “Yes sir! You are right,” agreed the disciple. “We will!” the remaining disciples replied. “Yes,” said The Enlightened One. “Yes, that is what I have been saying,” replied The Enlightened One. “If you recall, when I first told you about perfection I also said: ‘Perfection does not mean being a perfect human, it means going beyond human life and human ways. It is fulfilling Evolution and moving to the next stage. Seek this and you will live as perfect a life as anyone born as a human can.’ As you can see, I have always been saying the same thing to you. “Perfection means seeking to go beyond human life and human ways; it doesn’t necessarily mean finding that all the time or being able to truly move to the next stage in Evolution. It is all about seeking. “Isn’t there some way we could maintain full consciousness at all times?” asked the disciple. “I will try my best to learn how to do that so I can experience perfection, as best as we can achieve it as creatures born as human beings,” said the second disciple. “Thank you, Enlightened One,” said the disciple. “The first thing love is is a feeling,” replied The Enlightened One. “You all know that it is a human emotion based on Evolution. But love is also a concept. By this I mean it is an idea about how we react to and treat other people and creatures. “Human love tends to be biased: it tends to favor the individual and their close associates and groups. The love of those trying to go beyond is more balanced: it puts the individual and their groups into proportion, as if seen from a kind of ‘God’s-eye view.’ It is like an extension of the emotions created by nature so they apply not just to further the interests of the individual human or their family and groups, but also to further the fair and balanced interests of all beings. It is a charming and admirable kind of love. “Apart from the love of other beings there is also a kind of love of truth. This love of truth is a characteristic of people who are going to the next level, as they are seekers of higher wisdom. Anyone who wants to be wise must also be a seeker of truth: this is an essential type of love for them. “That is very true,” agreed The Enlightened One. “Plenty of people don’t want to be helped and do resist the truth, for the obvious reason that it goes against their primitive human feelings and limited thoughts, as it must naturally do. “Since the purpose of the human emotions is to further the interests of the individual human or their family and groups, it follows that being confronted with the true state of affairs must inevitably trigger negative emotions in the person. The true state of affairs puts the person’s position clearly into perspective, which contradicts the desire of the primitive human emotions to put the individual and their groups first. Also, the truth says that a human being is primitive and inferior in some way, which must immediately trigger their status-related feelings. We are telling them that they are inferior, and it is natural that they will be pushed by their feelings to fight against this in some way. How can we make progress against all that? “That is sad,” sighed the disciple. The remaining disciples looked at him with surprise. “How true,” agreed The Enlightened One. “It is true that it is easier to make friends with those you can communicate with,” replied The Enlightened One. “But that doesn’t mean that you can’t have friends who are not going to the next level or who hold a different view. “Real friendship is based on trust, which is more about action than communication. If you trust someone, even though you cannot fully communicate with them, then you can be friends. Make sure you also return the trust they put in you. “Trust does not come from what you say but from what you do, so the strongest element in a friendship is what the friends actually do. It is the reliability of people going to the next level that makes such strong friendships between them, not just their ability to communicate openly with each other. “Friendship comes in many levels, from strong through to weak. Weaker friendships can be formed when there are not too many challenges for the relationship. In these, communication is usually restricted to non-sensitive and agreed areas so it doesn’t get out of hand and damage the relationship. With stronger friendships communication can be more open: the friends can safely discuss topics across many areas, even when they don’t agree, as their trust in each other overcomes any differences of opinion. The trust is based on the person, not what they think about things. “Certainly you may. You are most welcome,” said The Enlightened One. “Thank you, Enlightened One. In that case may I stay?” asked the first disciple. “Of course you may,” replied The Enlightened One. “Yes, it’s about self-awareness and self-control,” contributed the fourth disciple. “How did the wise people of the past achieve their higher state, especially as they did not know about Evolution and the true size of the universe?” asked the seventh disciple. “They also did not have a clear picture of thinking outside the box,” added The Enlightened One. “They achieved their higher state by setting out to understand what was really going on. This led them to examine their own minds and in time they discovered why they thought the things that they did. As they looked at this more closely they came to question it. They wondered what they should really be thinking if what they found in their minds was so inadequate. This led to their wisdom. “I think you have done a remarkable job, Enlightened One. Whether other people listen to you or not, I will always listen to you and follow what you say,” said the seventh disciple. “Thank you so much,” said The Enlightened One. “You are very welcome,” smiled The Enlightened One. “I would like to say some more on forgiveness,” said The Enlightened One. “Forgiveness may be extended by us to those who have not gone to the next level. This should be done in a realistic, fair and truthful way. “The truth about human beings is it is difficult for them to go to the next level. “The fair and realistic view of human beings is that they are at a particular stage in Evolution. It may not be the final stage, and it certainly is limited. “Forgiveness in this sense means a full and conscious acknowledgement of the reality of this situation. It does not mean saying that it is okay to do wrong, it means saying that wrong is to be expected because people are natural creatures that have been created to survive and who do not normally see from a higher level. Blaming them for their nature is like blaming a tiger for being a carnivore – this behavior came from nature and is to be expected. On the other hand it is natural for us to feel offended by bad behavior in people – that is part of our human nature. We have to go beyond this and think more clearly. “When the actions of others irritate or offend you, remind yourself that this is to be expected and then go to the next level, using Perspective, Evolution and Creativity to get you there. Remind yourself that they are at a lower level of Evolution and are acting in a natural way. Acknowledge the reality of this situation. “Why do some people go to the next level and others never do?” asked the twenty-first disciple. “So you are saying that it is probably because we were not designed to advance in Evolution that other people don’t go to the next level, even when they hear about it?” suggested the twenty-first disciple. “But all they need to do is practice the three techniques for going to the next level and they would be empowered to overcome their primitive feelings and thoughts,” objected the disciple. “Could you tell us some more about using the dice, Enlightened One?” asked the thirteenth disciple. “Sure. After you have gone to the next level and gained control of your mind you can play with the emotions that are occurring in your head,” said The Enlightened One. “You can make changes to them, as it were. “Change the roll of the dice by using Creativity and going outside the box, or changing the things that are inside the box, to give yourself different views on what was bothering you. “Change the roll of the dice by using Evolution to give you a new perspective on your feelings, seeing them as primitive human ones designed to push you to take action even if that wouldn’t be effective or make any sense. “You cannot directly change the dice, of course, because physically you remain as a human being, but that doesn’t mean that you can’t use mental techniques to cause them to alter. The dice always remain ‘six-sided,’ meaning they match the primitive human emotions, but by doing something imaginative you can act as if they were given more sides, such as eight, ten, twelve or more. You can also imagine something that causes the dice to flip over, for example from all ones, representing extremely negative emotions, to all sixes, representing extremely positive ones. It’s just a matter of imagination. “All three ‘going beyond’ techniques – Perspective, Evolution and Creativity – are based on imagination. Imagination is the key to taking control of your mind and helping it to come up with better answers. It is fortunate for us that we have this power! “What is this consciousness?” asked the disciple. “It does exist, that is the critical point. You have this consciousness that can oversee your mind and override what it is doing. It may be located in the frontal lobe of your brain, and when it is active you are fully conscious, but when it becomes inactive, or less active, the other parts of your mind take over and run the show. There are different ways to ensure your full consciousness is activated – the one I recommend is going to the next level. Living in the present is another way of doing this,” added The Enlightened One. “Is living in the present also based on imagination?” asked the disciple. “As much as a human being can,” added The Enlightened One. “So you acknowledge or accept that there is a problem, and maybe you don’t want to work on this one, and then you imagine that it shouldn’t really matter to you anymore because you have basically said you are moving on from this. It would be a waste of time to continue feeling badly about this, so you turn your attention to something else and carry on with that,” suggested the thirteenth disciple. “I agree,” said The Enlightened One. “Goodbye, sir, and good luck,” said The Enlightened One. “You have a good memory!” observed The Enlightened One. “Acknowledgement and acceptance are both about grasping the right end of the stick and working on your own mind first. They help protect you from your own mental ‘torturer,’ escaping from the effects of your mind’s emotional attack on itself. “Having accepted or acknowledged the existence of the problem you can then come up with a creative answer that allows you to ‘tip over the dice’ in your head, as it were, so you feel better about the situation. This is part of what going to the next level can do for you. “Forgiveness is a powerful antidote,” agreed The Enlightened One, “but it can also be difficult to do when it seems to clash with reality. If someone has committed a major wrong then it can seem just as wrong to forgive them – better to be realistic about the situation. “My advice is to go for acknowledgement first. If you acknowledge the reality of the wrong that was done then you will be able to get control of your mind so you can think clearly about the situation. “Go to the next level and then look at what was done. How does it look from a ‘God’s-eye view’? Is it as wrong as it first seemed, now that you are no longer looking from your own or your groups’ point of view? If it is still wrong, acknowledge that this is the case. Then start the process of deciding if this is an issue you want to get involved in solving, as we said before. Move through the stages until you finally decide what you want to do with your ‘internal dice.’ Then if action is to be taken, take that action, always working from the next level as you carry it out. “Forgiveness is a fine thing to do, as long as it is not crazy forgiveness,” concluded The Enlightened One. “Goodbye,” waved The Enlightened One. “What about the idea that we should ‘eat, drink and be merry, for tomorrow we die’? What do you think of that?” asked the fortieth disciple. “Are you joking?” asked The Enlightened One. “Not exactly. I’m not really serious but I was wondering what you would say,” said the disciple. “I see. Well it doesn’t sound very merry to me to be going about saying tomorrow we die!” observed The Enlightened One. “In any case I can think of much better uses of my time than just giving up and partying all the time. “There is still work to be done, families to raise, things to be discovered, illnesses to be cured, people to help, and a myriad of other interesting and important things to get involved in. And some partying, eating and drinking can be done in between! “The problem with living for fun is it is not much fun,” said The Enlightened One. “And it is not very practical either. “When you set out to live for fun or pleasure you soon begin to feel empty. The futility of this kind of existence will catch up with you and will lead to an unsettled and hollow feeling inside. You might try to continue running after the fun but it will not satisfy you. “Now that’s a good question,” smiled The Enlightened One. “Why does right and truth lead to genuine happiness? It is because these are what you would be doing if your life was working for you. The reason people feel like pursuing negative answers is that they either have not gone to the next level or they have suffered trauma in their lives. “Going to the next level shows you what is right and the value of pursuing truth because you have seen with a kind of ‘God’s-eye view’ and effectively gone beyond limited human feelings and thinking. You now see in proportion, understanding the true value of different people, creatures and things. You are no longer limited to seeing issues from the narrow scope of your own or your groups’ point of view. From your wider perspective, doing right and pursuing truth become the obvious things to do. “Trauma is the other factor that drives people to pursue negative answers. Anyone who has been impacted by negative events, even those who try to go to the next level, will suffer from the impact of past trauma. Past trauma can cause us to develop negative solutions to our problems, as it will have generated strong negative emotions at the time. These powerful emotions will have pushed us to quickly come up with strong solutions to the problem, which will not have been considered carefully. These ill-considered solutions can easily carry on throughout our lives as our mind tries to protect us by avoiding thinking about the original trauma, believing the emotional pain is too much to bear. Our lives can be ruined by us blindly repeating the ill-considered, negatively-based solutions to our original trauma. “The answer is of course for us to open our eyes. We need to return to the trauma and calm ourselves when looking at it so we can take the time to come up with more effective solutions to the problem. Going to the next level will help with that. When we use Perspective and Evolution to view our problems, and Creativity to solve them, we will surge ahead in our ability to calmly assess what happened and to come up with better answers than ever before. “That will leave the problems that cannot be solved, the trauma that cannot be answered in today’s world, as there are many things that cannot be solved by us today. For these currently unsolvable issues we can either consciously acknowledge them and move on, or get involved in the long term work of solving them. Working on solving issues will bring us a level of peace because we can see that there is hope for the future. The problem may not be able to be solved today but progress is being made and we are contributing to that. For the problems we don’t want to get involved in solving we can consciously acknowledge that they exist and that they are not a priority for us and then turn our attention to the things we do want to get involved in. “How do you acknowledge what is not solvable today without it affecting you negatively? Doesn’t seeing negative things automatically generate negative feelings in your mind?” asked the fortieth disciple. “And this would mean you were telling yourself that your limited human emotions were not necessarily enough. They were not the be all and end all of what was possible in your mind. You could go beyond this limited set of emotions and have more possible reactions than you are experiencing now,” said The Enlightened One. “Yes, it is,” The Enlightened One smiled back. “No problem. Good luck and goodbye,” said The Enlightened One, shaking the disciple’s hand. 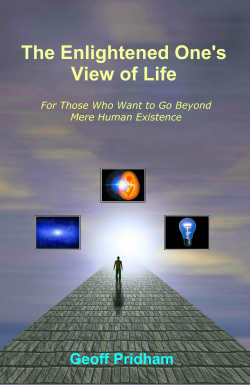 The Enlightened One's View of Life eBook: Free! 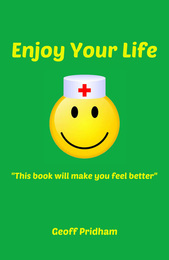 I want you to enjoy your life.I have spent over 35 years working on the best ways you can do this.In my blog and books I am happy to help you enjoy your life better - you deserve it.Take a look at my website. I think you will like what you find. 26. What Is Right And Wrong? 28. What Is The Right Religion? 29. How Should We Live? 30. What Should We Think Of Others? 31. How Should We Run Our Society? 32. Should We Ever Go To War? 36. What Is The Best Fashion? 37. What Should We Wear? 38. What Is The Best Music Or Entertainment? 39. How Should We Relate To Our Relatives? 41. How Should We Bring Up Children? 42. Should We Look After Our Parents? 43. How Should We Deal With Others? 44. What Should We Do If We Get Sick? 45. Should We Keep Pets? 49. Should We Run Our Own Business? 50. What Is The Best Way To Succeed? 51. What Should We Do If We Get Depressed? 52. How Should We Run Our Homes? 53. How Can We Convince Others To Change Their Minds? 54. What Should We Do About Crime? 55. How Do We Guarantee The Best Health? 56. How Can We Make The Best Relationships? 58. What Should We Do About Rulers And Politicians? 59. Is Meditation A Good Thing To Do? 60. How Can We Improve Our Memory? 61. What Should We Do About Money? 62. Should We Travel And To Where? 63. What Is The Inner Torturer? 64. What Is The Nature Of The Saints? 65. What Is The Hope For The Future?